Teaching my teenager an important life skill: How to do Laundry! *This post is in partnership with Persil ProClean. Every single word in this post is mine and true and blah, blah, blah. If you want to read a post about why I finally taught my daughter to do laundry then keep on reading. If you don`t, then skip to the bottom where you can enter an awesome giveaway! 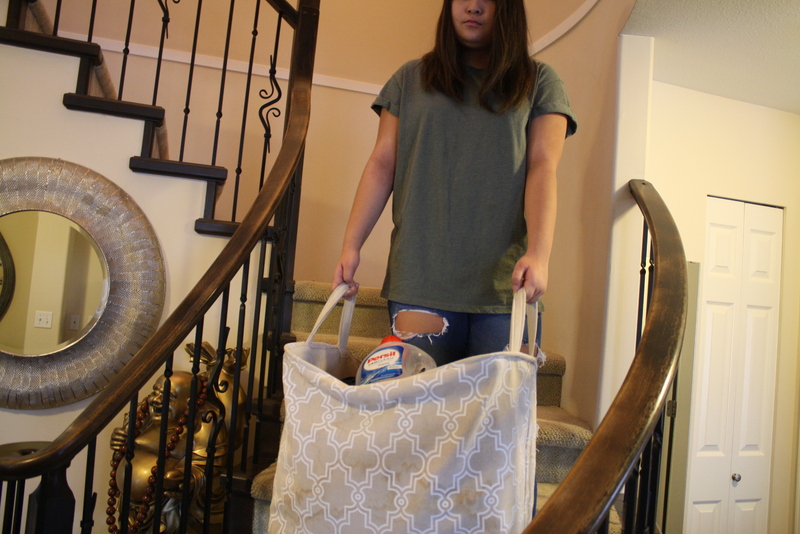 The choice is yours, but teaching your kids to do their own laundry feels so friggin good…on the inside! Laundry. Oh my goodness, the word itself sends chills up and down my spine. Seriously, this laundry business gives me a whack load of anxiety. When the laundry is finally folded and put away I feel so accomplished ( like someone better come give me a brownie badge) and then… BAM! The basket is full again. I want to scream, cry and kick my feet up in the air like a two-year-old having an extreme meltdown! “MOMMMMY!!!!! !” I just finished spending hours doing it. It’s sooooo frustrating! 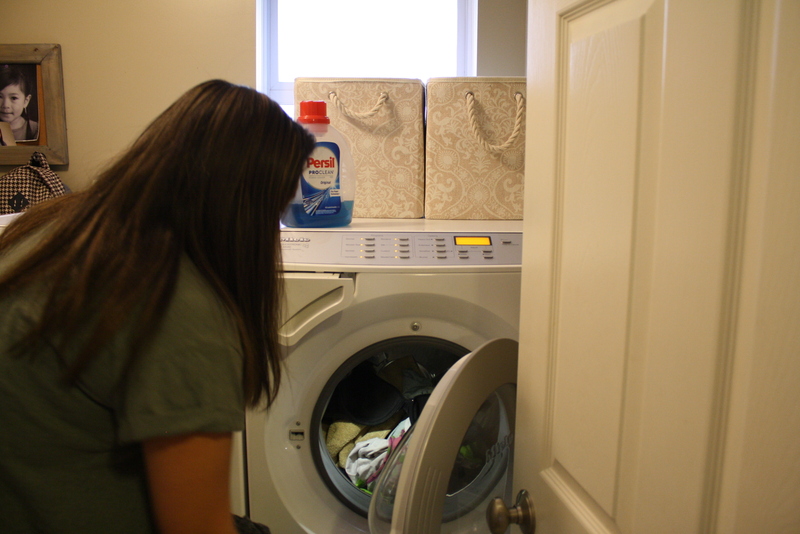 One day my teenage daughter’s friends were over and somehow the topic of laundry came up. Oh, I remember now. 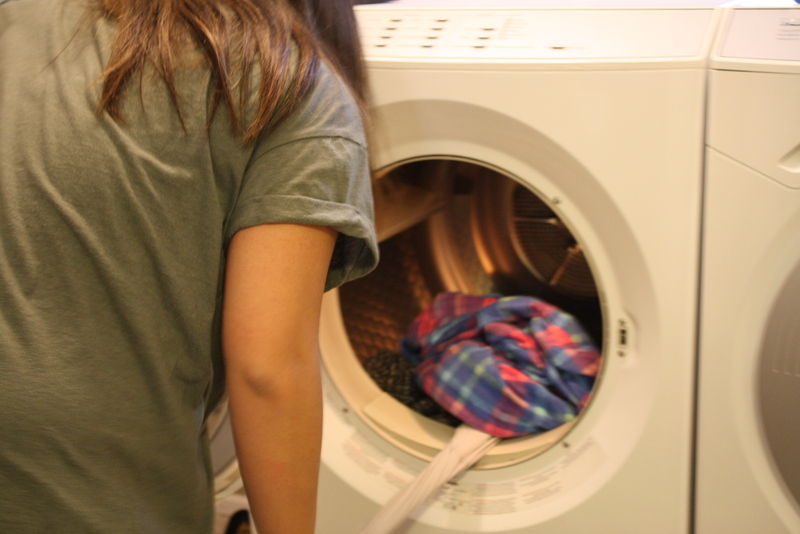 My daughter’s friend mentioned she had to go home at a specific time because she had to do her….laundry. When I heard those words come out of her mouth the lightbulb in my head didn’t just turn on, it, in fact, exploded!!!!! Why on earth was I still doing my (fully capable) daughters laundry? I asked my daughters friend how long she’s been doing her laundry for and she said she’s been doing it since she was 10! I could see my daughters face begin to change because she knew the lecture was coming. I couldn’t help myself. 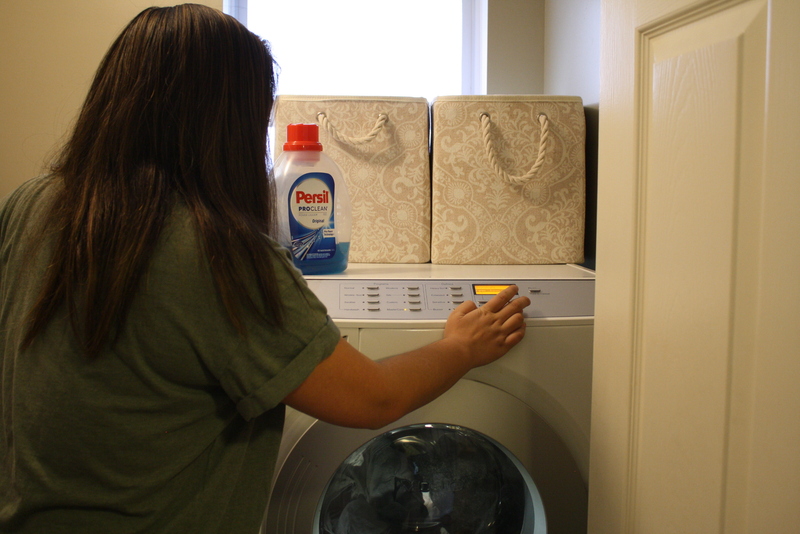 I didn’t mean to compare, but… this girl was doing her own laundry since she was 10! Do you know how many hours of laundry I could have saved myself from doing if my teen daughter was doing her own loads since the age of 10? And then it hit me. It wasn’t her fault she didn’t know how. It was mine! What kid walks up to their parent and says, “Hey mom, I’d really like to do my laundry. Can you teach me how?” (said no kid ever). Needless to say, this situation made realize I was coddling my daughter and creating my damn anxiousness and anger when it came to doing laundry. 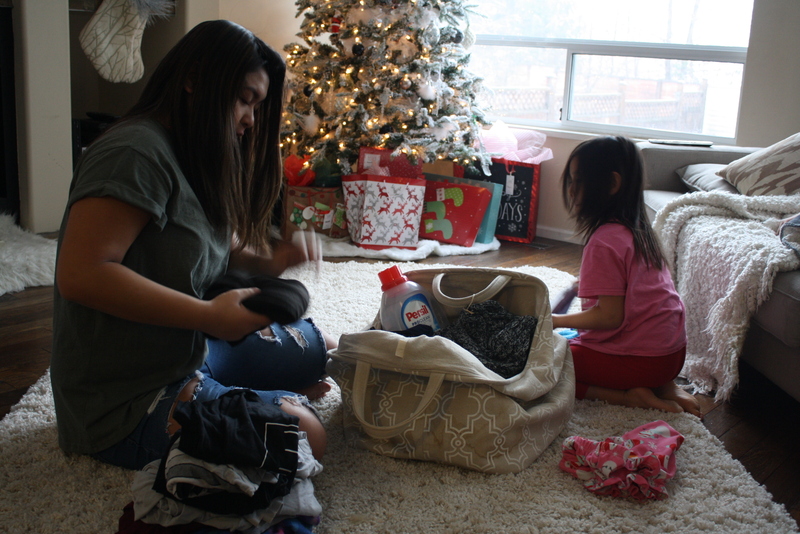 Laundry is a life skill and one day my daughters will be on their own (hopefully) and will have to do it too. But what on earth was I waiting for? I told her to wait for the buzzer and then once the load was complete to switch it to the dryer. I then explained that she needs to make sure she does this right away otherwise her clothes will smell like sour pee. And it doesn’t matter what detergent you use because that’s just what happens when you leave your clothes wet in the wash for too long. I also warned her about cleaning the lint before starting the dryer. Next, I told her to wait for the buzzer and then unload the dryer. And then I told her to place her folded piles into the basket and take it up to her room and put it away. Repeat this once per week and don’t ask me ever again where your jeans, hoody, t-shirt etc is because you do your own laundry now. Having my daughter finally do her laundry has helped take some of the load from me, but most importantly it has taught her that she’s fully capable doing it on her own! And if she runs out of clean whatever it is she needs to wear she can’t use the lame excuse she doesn’t know how because… ta da! She now has this essential skill under her belt! Best of all, she`s teaching her younger sisters that one day they`ll have to do theirs too. I`m giving myself a break over the holidays. 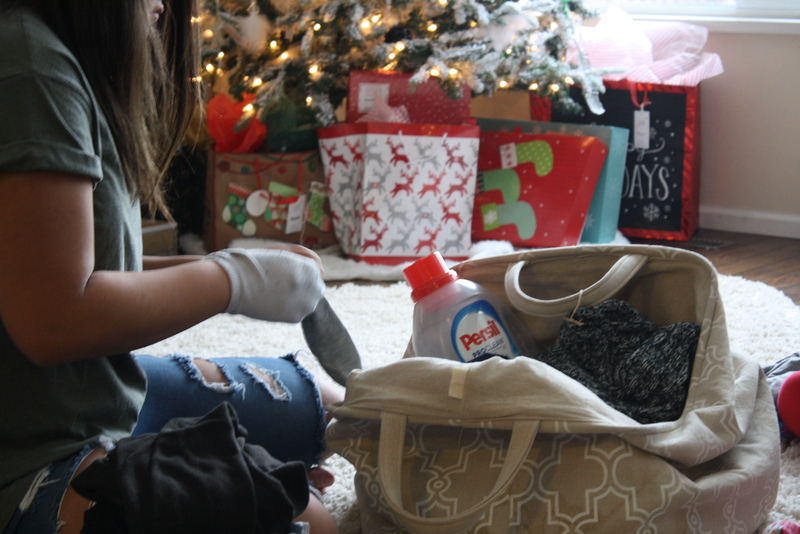 Since the kids are home they can help out with the laundry while watching a Christmas movie and I can watch them in delight. If this is the only Christmas gift I receive, it’s the best present ever! Tis the season of giving! Persil ProClean, a premium laundry detergent. Persil is trusted by laundry experts and people with not just high, but near-absurd standards for cleanliness. 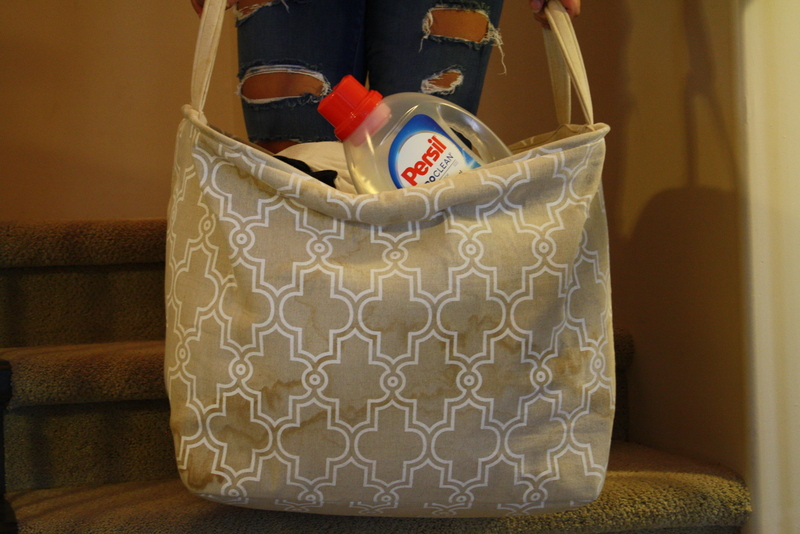 For the whitest whites, the freshest fresh and stains you never thought would come out. For when only the most premium level of clean is acceptable…and isn’t that always? Win a “Premium Night Out” and a year’s supply of Persil ProClean! This will include twelve coupons redeemable for one Persil ProClean laundry detergent product, and gift cards for clothes shopping, dinner, and transportation (the approximate retail value is $844 CAD). The secondary prize will be one voucher for a Persil ProClean product! The sweepstakes will be running now through December 26th!